Here are two views of Silbury Hill, near Avebury, in Wiltshire. I took the photos last week, when I was staying in Avebury for the Winter Solstice. 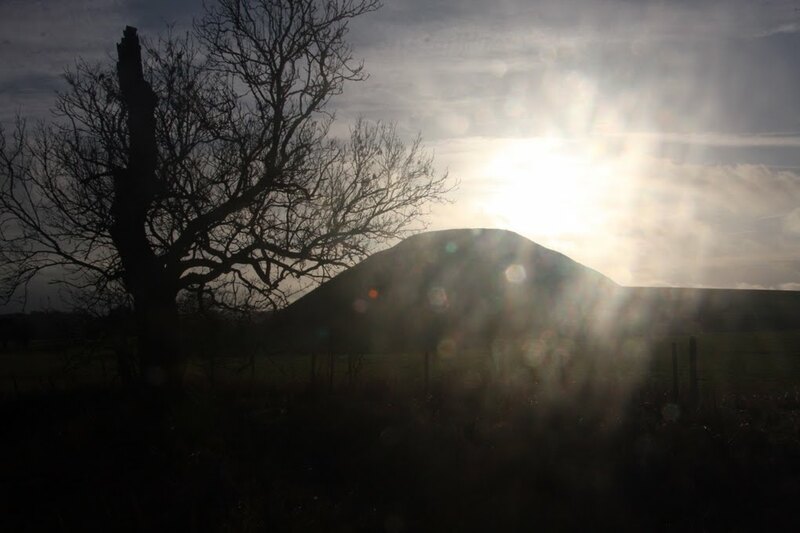 One of the pictures shows Silbury Hill on a clear, bright morning and the other shows the sun setting behind the mound. Silbury Hill is an ancient monument that is part of the Avebury World Heritage Site. It dates back to about 2400BC and is the largest man-made mound in Europe. No one quite knows why it was built. It isn't a burial site as excavations haven't found any bodies or graves inside it. According to some folk tales it is an entrance to the fairy realm. Others believe it was an ancient solar observatory or symbolic of the Mother Goddess.